Dr Graham will begin by analysing how well your body moves, for example by testing how well you stand, turn and bend. This will show him which areas need adjusting or strengthening. After your adjustment, Dr Graham will retest to make sure changes have been produced. Testing afterwards helps to ensure high-quality care and high levels of patient satisfaction. 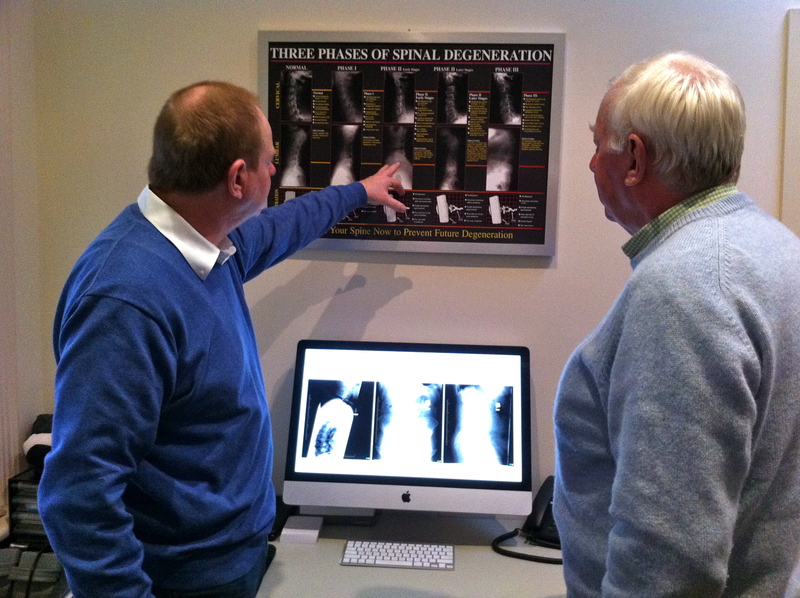 If you’ve been to a Chiropractor before and have a preference about how you are adjusted, let us know. We want you to relax, enjoy and fully benefit from your treatments. 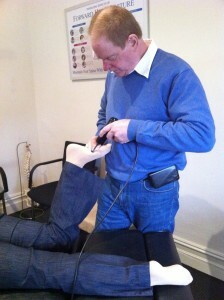 Dr Graham uses one of the most popular “low force” chiropractic techniques in the world – the activator instrument. This hand-held instrument delivers a precise, repeatable force at just the right angle. It is a spring-loaded tool that delivers a consistent low-force, high-speed thrust. Because it’s many times faster than adjustments delivered by hand, the body rarely tightens to resist, making adjustments comfortable and effective. Applied Kinesiology is a test of functional neurology – how the nervous system manifests in the musculoskeletal system. It is based on an understanding of connections between muscles, organs, glands, body chemistry, acupuncture meridians, the brain and the nervous system. Muscle testing is used as a guide for diagnosis as it offers an insight into the way your own body creates patterns through movement. The ancient Chinese observed that every muscle in the body links to a specific organ, gland or acupuncture meridian. By testing the strength of its related muscle, Dr Graham is able to reveal underlying health issues when the muscle goes weak. It can also direct him to the best options to restore your health. Did you know that your emotions can initiate physical changes in your body? Emotions add richness to our lives, but in a weakened state, emotionally-charged events can occur and our body may not “let go” of the emotion. This can result in recurring health problems, aches, pains, digestive problems, phobias and self-sabotaging behaviours. Dr Graham uses NET to help identify the unresolved real (or imagined) event and assists your body to dissipate its lingering emotional charge. Finding and balancing these “stuck” memory loops is done with the help of simple muscle testing – usually your arm. Muscles of the body will test weak when the body is not congruent or in harmony with a certain idea or concept. Muscles will test strong when the body is “OK” with a concept, idea or event. If you think this sounds interesting but you’re unsure, ask Dr Graham for a simple demonstration at your next appointment. Your feet are the foundation of your body. They support you when you stand, walk or run. Feel also protect your spine, bones and soft tissues from stress as you move. 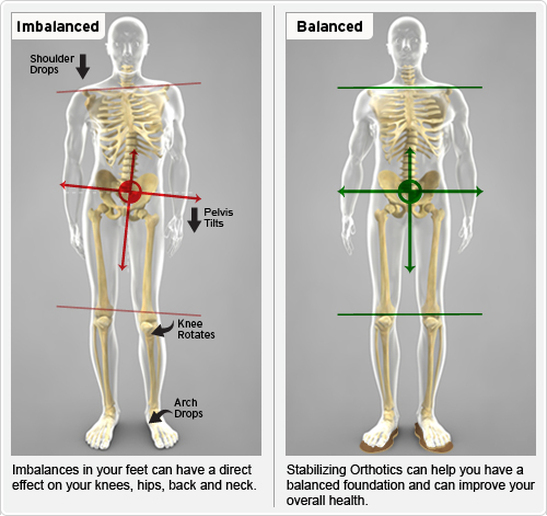 Unlike generic, over-the-counter orthotics, Foot Levelers are stabilizing orthotics that are individually designed for your unique postural problems – not just problems with your feet. 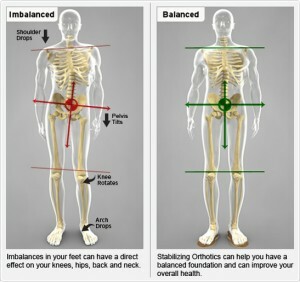 Correcting imbalances in your feet can properly align your spine and pelvis. If Dr Graham thinks that Foot Levelers will help to improve your overall health and wellness, he will take a scan of your feet while you’re in a standing position so that he can fully assess your requirements. Your unique orthotics will then be made based on your scan and Dr Graham’s assessment. The cost of orthotics can often be claimed back from private health insurers.